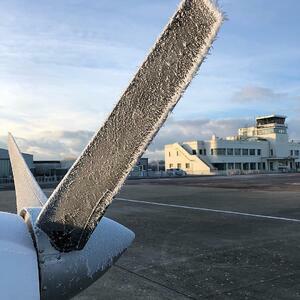 With the winter weather hitting hard over the last few weeks, sub-zero temperatures and ice mean that our aircraft have to de-iced before flying. De-icing is the process of removing ice from the aircraft. In order to take off safely, the whole aircraft must remain clear of ice or any other contaminants. "De-icing is the procedure by which frost, ice, slush or snow is removed from an aeroplane in order to provide clean surfaces" - Association of European Airlines. So why do we de-ice our aircraft? Not only does a build-up of ice or snow result in extra weight, it's the coating of ice that disrupts the flow of air which reduces the lift. This is the ability of the aircraft to fly. In other terms, in order for the aircraft to fly, lift must overcome weight. By increasing the weight, you are reducing the lift. For example, the snow or ice added onto a critical area such as the wings immediately increases the weight overall. "A flight to be planned or expected to operate in suspected or known ground icing conditions shall not take off unless the aeroplane has been inspected for icing and, if necessary, has been given appropriate de-icing treatment. Accumulation of ice or other contaminants shall be removed so that the aeroplane is kept in an airworthy condition prior to take-off" - ICAO. So how do you exactly de-ice an aircraft? De-icing agents are compounds made up of the chemical glycol and water. 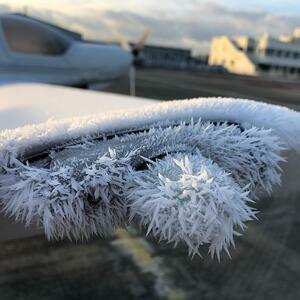 At FTA, we use Kilfrost TKS80 to de-ice our aircraft. The process of de-icing takes around 10-15 minutes depending on how much contaminant is on the aircraft. 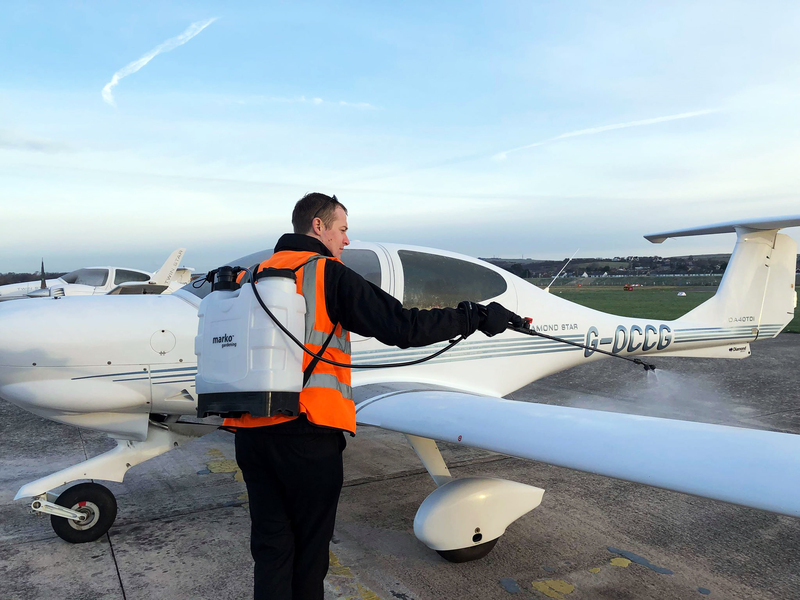 All instructors assist with de-icing the aircraft in the morning regardless of whether they are the Head of Training or Chief Flying Instructor. Our dedicated instructors have started their freezing mornings de-icing and ensuring the fleet is safely checked before take-off. Our students are taught about the importance of aircraft safety, especially in weather conditions, from their first day. 1. Remove any snow from the airplane using a soft brush. 2. Spray de-icing fluid onto ice-covered surfaces using a suitable spray. 3. Use a soft piece of cloth to wipe the airplane dry.